The fluidlab is an innovative platform solution that combines the ideal features of novel point-of-care testing technologies. It is easy to use, rapid, inexpensive, portable and accurate in its measurements. 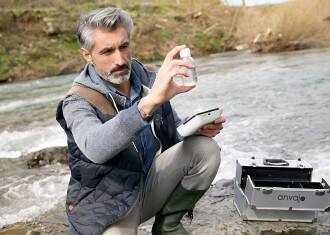 Analyzing a variety of fluids such as blood, urine, sperm, water, and more, the patented technology integrates a high-resolution microscope with a full-fledged spectrometer providing instantaneous quantitative results for the user. Despite its miniaturized form factor, performance and accuracy over-comply with international gold standard requirements making it an essential tool for a varitey of diagnostic applications. Decoding fluids has never been simpler. The fluidlab device is the smallest microscope and spectrometer unit globally available. Due to its small handheld size, it is easy to move and does not need to be recalibrated after transport. Running on robust and long-lasting batteries, the device is ideal for field usage in structurally underdeveloped regions. Collecting samples, conducting analysis and interpreting results is as simple as ever. No calibration is needed and short startup and shutdown times allow quick and easy handling inside and outside of a clinical diagnostic laboratory. Robust validated results with sensitivity and specificity levels in line with traditional core lab instrumental measurements ensure low error rates and strong CV-values (coefficient of variation) as well as positive linear sample correlations that meet international regulatory requirements. Quantitative results are available within minutes allowing for immediate diagnostic decisions to be made during a patients visit. This dramatically shortens the overall diagnostic journey ensuring the best treatment plan can be decided on in a shorter period of time. A multifunctional sample carrier system enables the analysis of a large variety of fluids in multiple disciplines such as immunology, clinical chemistry, inorganic chemistry and cytology. 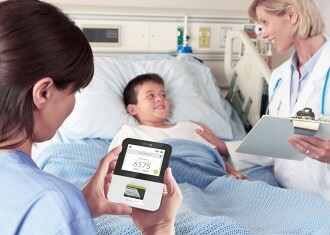 Secured digital interfaces such as Wifi and USB allow convenient digital connection to telemedical information systems and networks enabling automatic exports of encrypted data to electronic documentation systems. 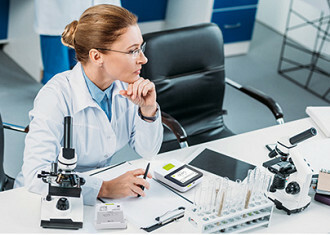 Point-of-care testing and cell culture monitoring for a broad range of applications and markets such as medicine, veterinary, environmental, food, feed, and scientific diagnostics. Help to reduce the improper use of antibiotics! Perform rapid urine sediment and fertility testing! Count and monitor your cells and cultures - fully automated! Do quality controls for water, food and many other liquids!